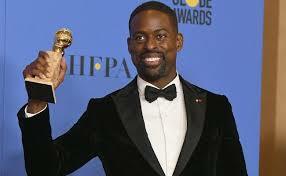 Sterling K. Brown seems to have the world in his palm right now, so it makes sense that his voice will introduce the planet’s biggest international sporting competition. The trophy magnet and star of “This is Us” will narrate the opening film for NBC’s coverage of 2018 Winter Olympics in Pyeongchang, South Korea. Titled Always Start with the Dreams, the seven-minute film — which pays tribute to the 2,800 Olympic athletes going head-to-head on the slopes, on the ice, and beyond — will unspool before the Opening Ceremony and help to introduce the games, which begins Friday at 8 p.m. ET/5 p.m. PT. Among the athletes featured in the film: Alpine skiers Mikaela Shiffrin and Lindsey Vonn, short track speedskater Maame Biney, snowboarders Shaun White, Chloe Kim, and Kelly Clark, and figure skaters Nathan Chen, Evgenia Medvedeva, and Yuzuru Hanyu. Mike Tirico will anchor coverage of the Opening Ceremony with Katie Couric. Breaking Bad‘s Giancarlo Esposito handled film narration duties for the 2016 Summer Olympics in Rio, while Game of Thrones‘ Peter Dinklage provided vocals for the 2014 Winter Olympics in Sochi. Previous celebrity narrators also include Emily Blunt, Ewan McGregor, Andre Braugher, and James Earl Jones. 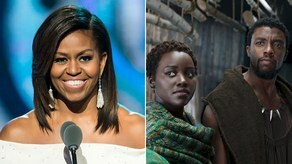 Brown, who hits the big screen in Black Panther as well as the upcoming Hotel Artemis and The Predator, recently claimed a Golden Globe and an Emmy for his work as Randall on the NBC family drama.